WILLIAM S. “Billy” POARCH, SR. Directions: I-95 travelers, take Exit 20, go west 200 yrds., @ light turn left on Hwy. 301, go south ¼ mile, turn right on Mayes St., continue ½ mile to end of road, left on 1102 (Horseshoe Rd. ), travel 200 yds. to farm path on left. Watch for signs. Case IH 7250 MFWD, SN-JJAQ062359, powered by 215 hp 6-cyl. 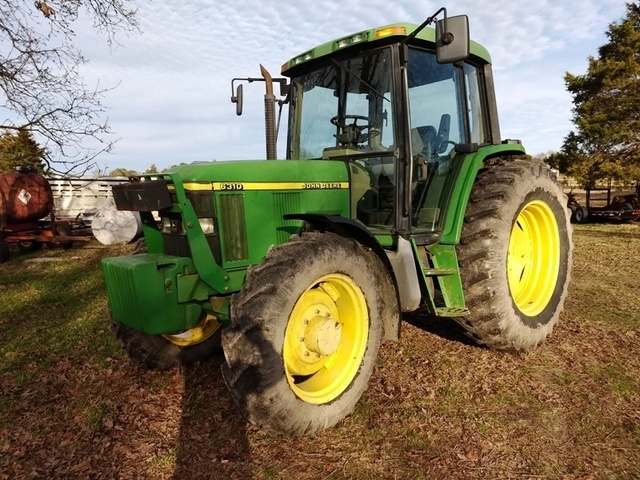 diesel, power shift transmission, 540 & 1000 shift-on-the go pto, (4) dual remote outlets, lift assist, cab, 420/85R30 front tires, 20.8-42 dual rear tires, 5170 hrs., quick hitch, front weights. Case IH 7220 MFWD, SN-JJA0050848, powered by 155 hp 6-cyl. diesel, power shift transmission, differential lock, 540 & 1000 shift-on-the go pto, (3) sets dual remote hydraulic outlets, cab, 420/85R 28 front tires, 85.80R28 front tires, 85.80R42 rear tires, front weight, 51.4 hrs. showing, quick hitch, lift assist. 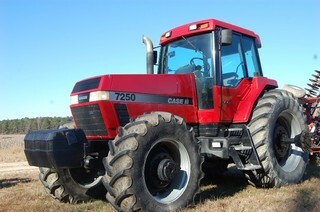 Case IH 7120, SN-JJA0022236, powered by 150 hp 6-cyl. diesel, 18-speed power shift transmission, 540 & 1000 pto, cab, duals, 10,424 hrs. 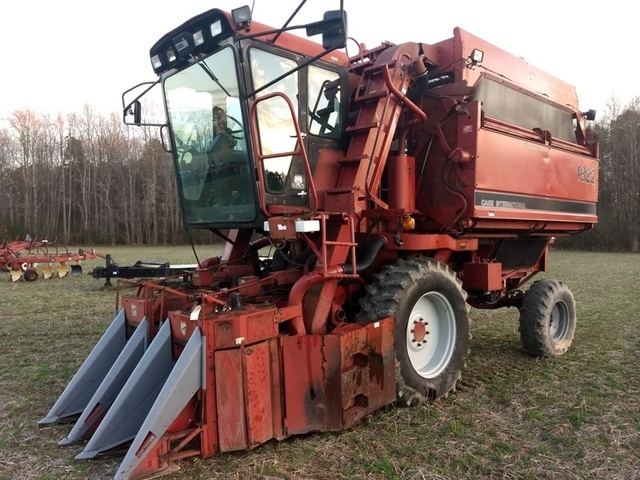 Case IH 5240 MFWD,SN-JJF1037675, powered by 100 hp diesel, standard transmission, 540 pto, (3) sets dual remote hydraulic outlets, cab, 12.4-41 front tires, 320/90/54 rear tires, front weights, 2080 hrs., good. 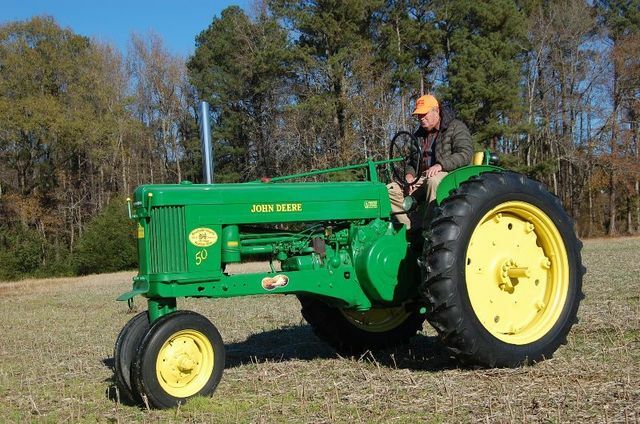 John Deere 4960 MFWD, SN-RW4960P0N012, powered by hp 6-cyl. diesel, power shift transmission, 1000 shift-on-the go pto, (3) dual remote hydraulic outlets, cab, 18.4R26 front tires, 520/85R42 RT855 dual rear tires, front weight, quick hitch, lift assist, 5116 hrs. John Deere H completely restored, SN-411452, 2-cyl. 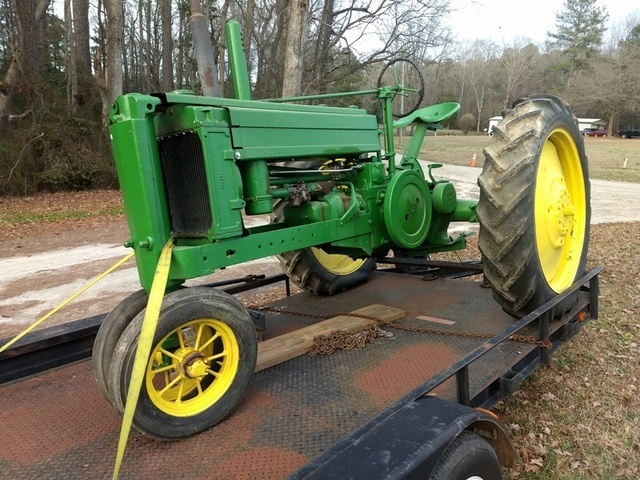 gas, lights, fender, tri-cycle front end, Bay City, Mich – originally new, this is a very nice restored two family tractor. 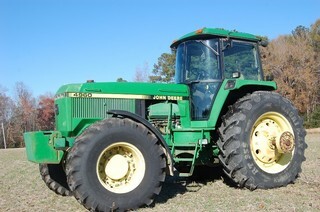 John Deere 50,SN-5D17003, 2-cyl. gas, standard transmission, converted to 12-volt, tri-cycle front end, restored right. John Deere 9860 STS , SN-HD098605710880, 4×4, 20.8-42 dual front tires, 28L-26R rear tires, w/straw chopper, 2767 engine hrs., 1755 separator hrs., (still picking beans – 500 acres to go @ press time). John Deere 630F hydra flex header, SN-H00630F720952. John Deere 693 corn head, 6-row, 30”, w/poly snouts, SN-HOO693X710607. 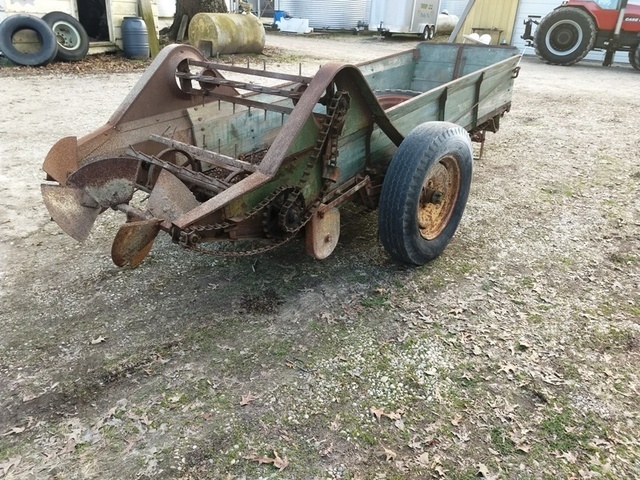 Unverferth HT 30’ header cart. ’96 IH 8100, VN-1HTHCATR2H311996, 6-cyl. 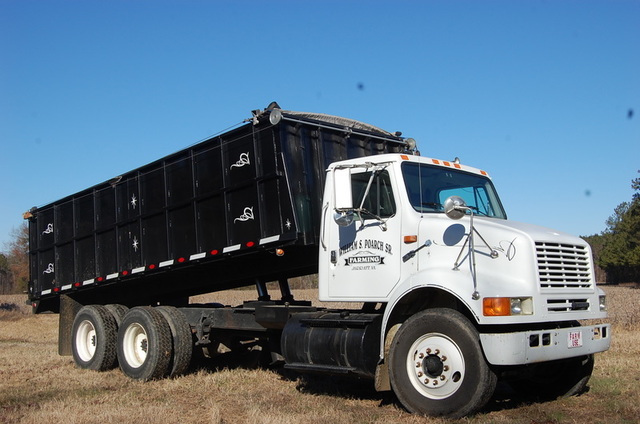 diesel, 9-speed transmission, 11R225 Budds, twin fuel tanks, twin cylinder 20’ dump w/54” metal grain sides, air tail gate, live tandem, working ac . Note: body will handle grain or gravel. ’94 IH 4700, VN-1H2SCT6CDDAH442543, 6-cyl. 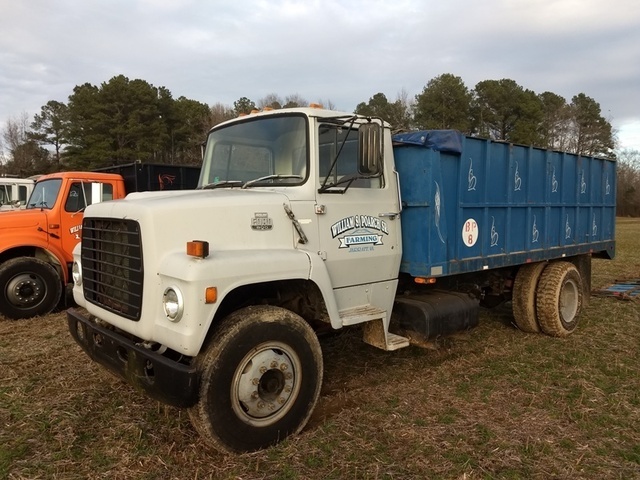 diesel, 6-speed transmission, west coast mirrors, 11R22.5 Budds, disc brakes, Godwin 16’ dump w/64” metal sides, 199” wheel base, working ac, 176,358 miles showing, 1st class truck. 2001 IH 4900, VN-HSSDAAN91H387381,466E diesel, 6-speed transmission, air brakes, west coast mirrors, 11R22.5 Budds, (2) 50 gal. step fuel tanks, 152” wheel base, single axle, gooseneck & trailer hitch, 247,626 miles showing. 1996 Ford 1 ton dually, 350 diesel. 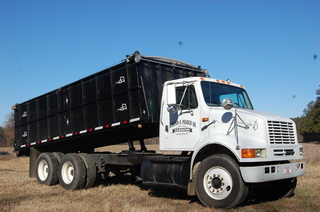 1983 Ford F800 w/Johnie Gregory 16’ dump bed, 4’ sides. Swartz Mfg. 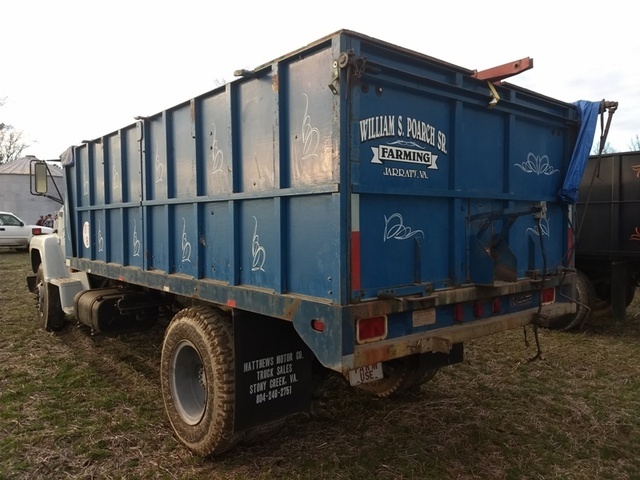 15 ton dump trailer, 16’, 5’ metal sides, self contained hydraulic dump, roll over cover, 235-80-16 tires, tandem axle, tandem wheels, gooseneck ball hitch, swing out rear grain door. 28’ x 8’ equipment trailer, tandem axle, dove tail, 6 ½, loading ramps, Ramsey winch, wood floor, 2 5/16 ball hitch. 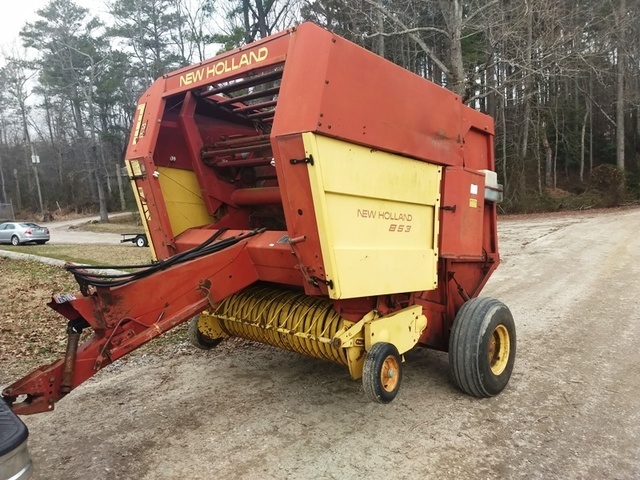 Case 330 Turbo Till, 25’, hydraulic fold, , spring cushion gangs, rolling single basket, light package, new blades on front. Unverferth 20’ hydraulic fold field cultivator. 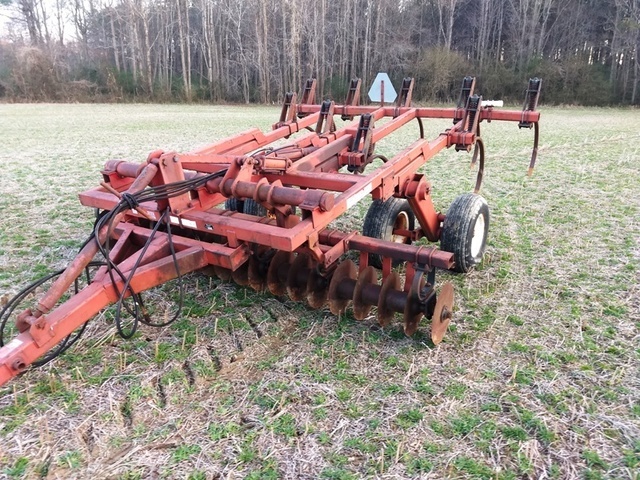 3-pt..
(2) Danish tine 6-row cultivator, 3-pt. Long 5-bottom on land switch plow, 3-pt. KMC 7-shank ripper, 28” spacing, w/mulch roller, 3-pt. 7-tine chisel-o-vator, coulter blades in the front, trail-type. (2) 11-tine chisel plows, 3-bar, (1 w/hitch hiker drag, 3-pt.). 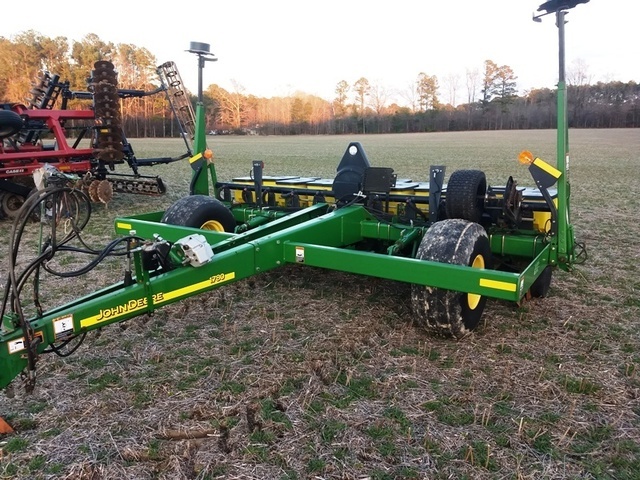 John Deere 1780 Maxi Emerge Plus 11/7-row no-till planter, w/monitors, pto, vacuum pump w/attachments, pull type, very nice. 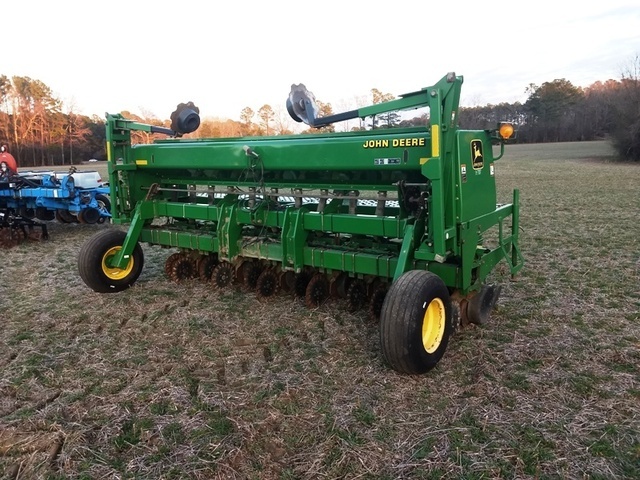 John Deere 635 12-row 15” spacing no-till drill w/hydraulic row markers, monitors, 3-pt. Unverferth Mdl. 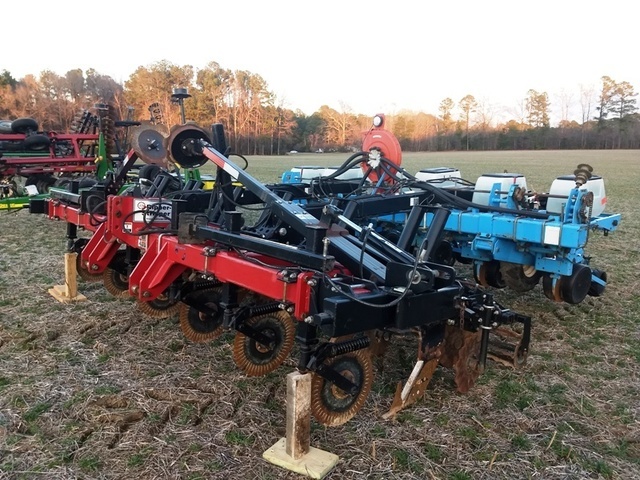 330, 6-row automatic reset rippers w/hydraulic row markers, set up for strip till, 3-pt. 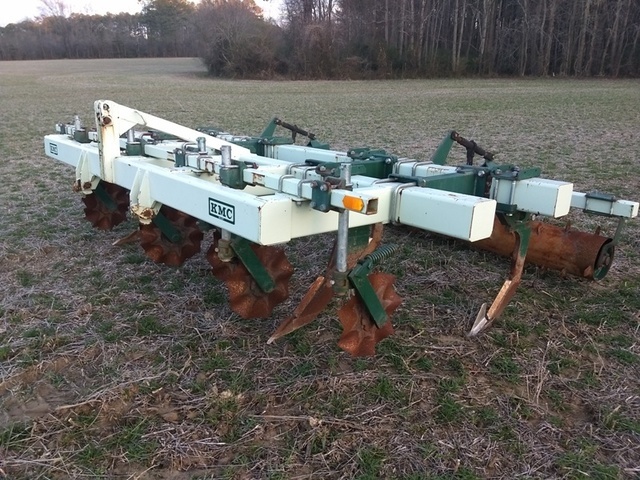 Monosen NG+3 6-row planter, 30”, w/seed firmer. 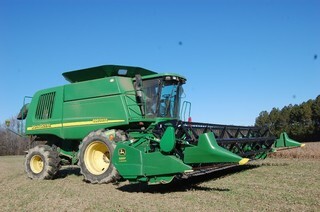 KMC 4-row til-o-vator, 36” rows, 1000 pto, 3-pt. 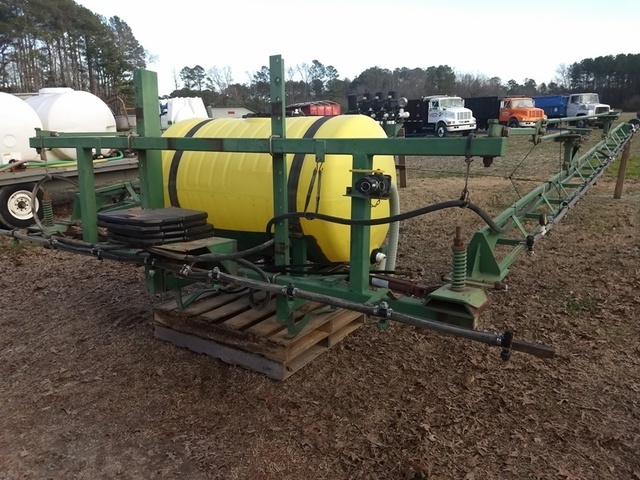 Cole twin-row planter, w/Gandy insecticide box. Pair Monosen hydraulic row markers. 2×2 tool bar, 4-row, gauge wheels. 24’ x 8’ gooseneck tandem axle trailer, 45” dove, wood floor equipped w/(3) 500 gal. poly tanks, chemical mix tank, Honda 160 engine, transfer pump, tool box, chemical tote area, 35 gal. water tank, nice outfit. 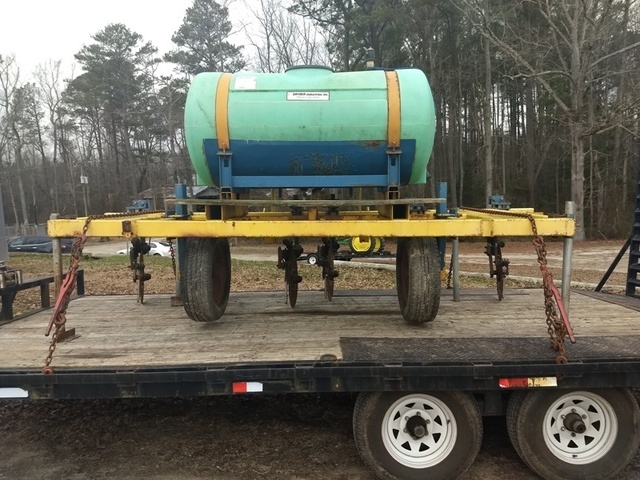 Newton Crouch stainless steel spreader, twin spinners, w/new ground driven gauge wheel, lime or fertilizer, high clearance wheels, pull type. Reddick 300 gal. 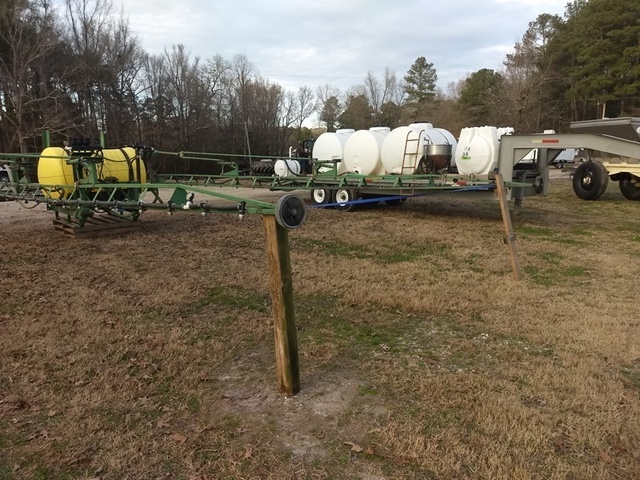 poly tank sprayer, 60’ hydraulic fold bridge booms, nozzles 18” apart, w/boom control & GPS guidance, 3-pt. 1500 & 1200 gal. poly flat bottom tanks. 300 gal. 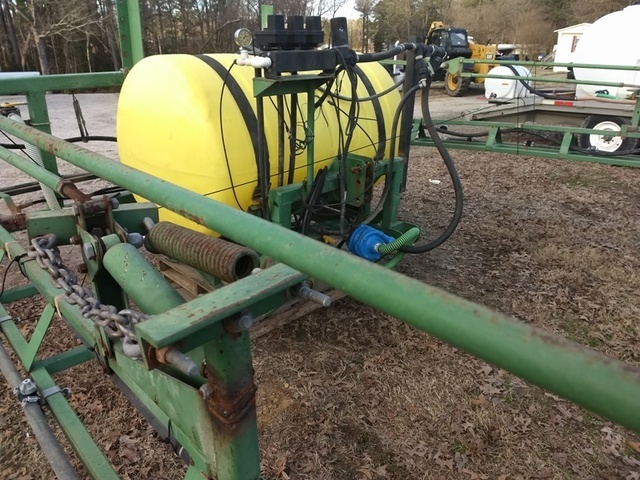 poly tank sprayer w/booms & controls, 3-pt. Walinga Mdl. 510 Agric Vac 1000 pto grain vac system, 50’ 5” flex grain pipe, pull type. (2) Butler 840 50’, 8” augers, 540 pto, transport dolly. Farm King 55’, 8” grain auger, 10 hp electric motor. (2) Unverferth 12’ folding brush type augers for loading seed into planters (mounts on back of truck or gravity flo). 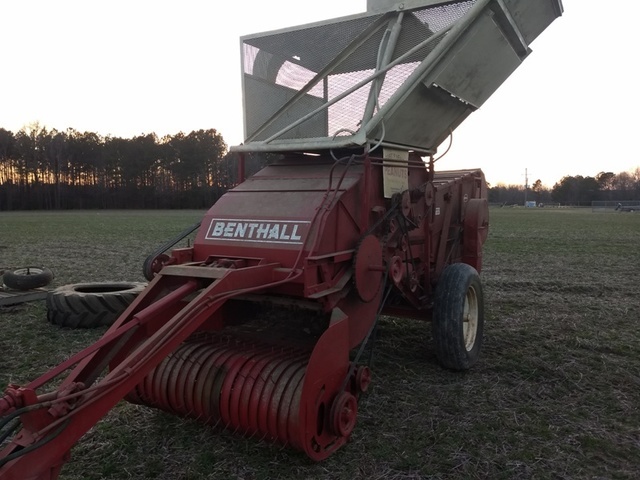 1960 Benthall 540 pto peanut combine, collector’s item – completely restored. 2016 Hardee hydraulic boom cutter w/5’ deck, 3-pt., like new. Woods TS1680 rotary cutter, 14’, 1000 pto, stump jumper, dual trailing wheels, 3-pt. Bush Hog 3860QT frontend loader, 7’ bucket, quick attach, last on IH 7120. Bush Hog 176 dirt blade, 9’, hydraulic tilt, 3-pt. 20.8×42 tractor tires, 65% tread, good. 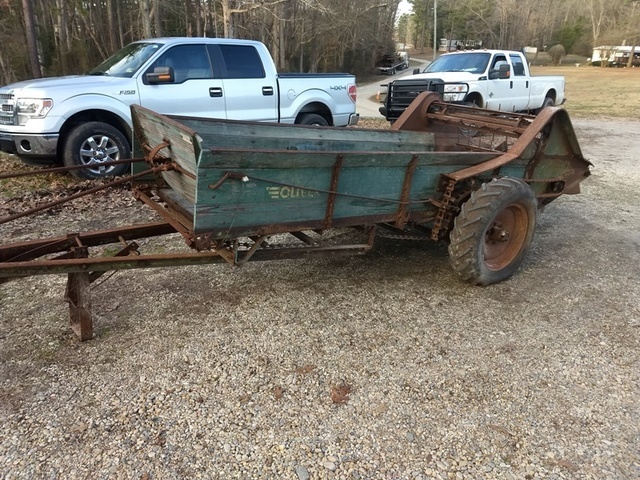 4-wheel flat bed wagon (used as poly tank hauler). Path drag like would pull w/4-wheeler or lawn mower. (4) 12’ farm gates w/hardware. (2) 10’ poly feed troughs on galvanized runners. (8) 14.5 tires, new, mounted on rims. Auctioneer’s Note: Billy has been farming for 65+ years. He has been there, done that & is one of the top farmers in the area. He is a walking farmer’s encyclopedia . His equipment is ready to work before you even start to the field. In my field of work I have am fortunate to work for some of the finest people & Billy is one of them. For more info contact Billy Poarch @ 804-731-4644. Other non-conflicting absolute consignments accepted. Terms & Conditions: All purchases must be paid for sale day. All property sells as is where is with all faults, with absolutely no warranties implied or expressed in any way. All Serial Numbers, mileage & hrs. unverified. All info printed in brochure is believed to be correct but not guaranteed. The auction company reserves the right to offer property in separate sales, combinations thereof or as a whole.